Mobile virtual network operators (MVNOs) are becoming more and more widespread today. MVNO is a company that provides mobile services but has no own radio spectrum and wireless network infrastructure as it uses the infrastructure of a mobile network operator (MNO). In addition to that, MVNO is able to attract a particular subset of subscribers by certain business propositions, possibly outside of just telecom services domain, that MNO finds hard to provide. This model allows MVNO to capture and keep their subscriber base while avoiding significant investments required to build and maintain a cellular network. A mobile network operator arranges the entire process and provides the infrastructure and services. An MVNE makes sure there is a technical possibility for providing services to subscribers (supports billing and CRM systems and is in charge of interaction with the mobile network operator). 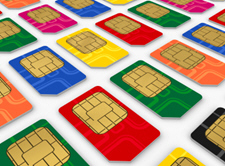 An MVNO offers rate plans, issues SIMs, and promotes products. To enable the operations of a pure MVNO or MVNE, serving MVNOs, they need their own technology platform, billing system to interact with mobile network operators’ network elements, including OSS. The CBOSSconvergence MVNO Solution is a full-scale billing and customer care system for pure MVNOs or MVNEs, serving their MVNO, which automates necessary business processes and support real-time settlements with subscribers, interaction with mobile network operators network elements and OSS, and a full range of customer care and financial services. An MVNO thus gets an opportunity to focus on providing innovative services instead of investing in the creation of an expensive infrastructure. reduce expenses thanks to minimum operating costs. Integration and data exchange with a mobile network components and OSS. Integration with several mobile network operators. Providing a full range of customer care, including payment collection by any available methods (cash, bank cards, vouchers, and so on); change of rate plans, a set of services, etc. Possibility to carry out a flexible marketing policy. Fast and convenient management of sets of rate plans and services available to subscribers, just-in-time introduction of new types of services. Provide billing services to MVNOs, facilitate settlements between MVNOs and MNOs. Support integration with multiple mobile network operators (MNOs), which ensures a wider coverage area and broader sets of services to be provided. Arrangement of service provisioning to several MVNOs, including separate and confidential services to MVNO customers.